Nigeria does not seem to be ready for e-commerce as we know it. After 1987, 2016's recession was Nigeria's worst decline. It was a blessing, in that it revealed, more glaringly, business pursuits that were not working in the country—like e-commerce—chasing out many of such firms post-2016, allowing them to focus on new pursuits. It was also a curse, as a lot of employees of the affected organisations lost their jobs. For instance, between 2016 and 2017, a Nigerian e-commerce giant, Konga sacked 70% of their staff. What e-commerce companies were portraying to the unsuspecting public and investors was different from their realities. Return rates were high & people were not paying for deliveries, legacy delivery companies were lackadaisical & newcomers were too narrow-minded in their billing, purchasing power was low & more Nigerians fell into poverty. In short, the actual Total Addressable Market (TAM) was minuscule, 0.1% of the population. Seven years later and we still struggle to count 500,000 active unique e-commerce customers in Nigeria. So, when the news about Gloo.ng shutting down their e-commerce business operation surfaced on Monday, January 14, Nigerians were all too familiar with the tale. They had seen e-commerce-related startups like Efritin, OLX Nigeria, Konga 1.0 and DealDey bleed to death. However, one thing many Nigerians failed to realise with Gloo's story is that while the management and board of the company—PayMente Limited—were pivoting from the online grocery delivery model—Gloo.ng—they were channelling resources to an alternate revenue-generating business. 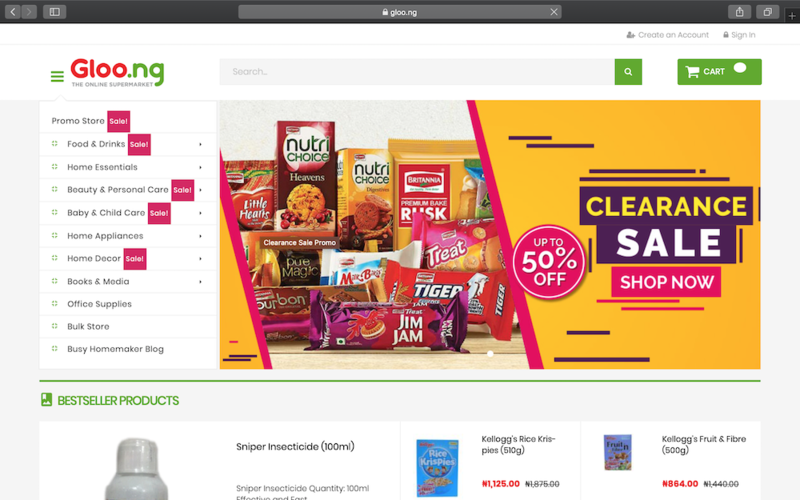 BREAKING: Online supermarket, @gloo_ng to shutdown e-commerce operations in Africa to launch another business. 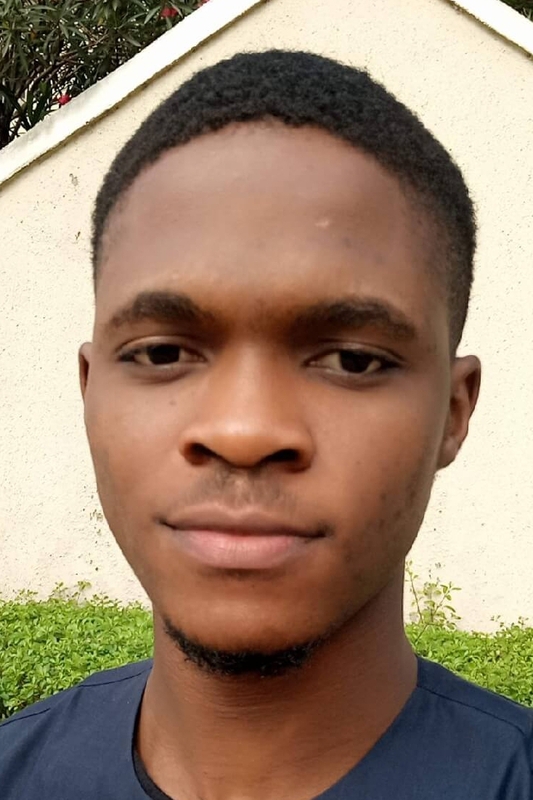 Benjamindada.com reached out to the CEO, Olumide Olusanya (D.O, an acronym for Doctor Olumide, as he is fondly called because of his degree in Medicine) who granted an extensive chat with us. In 2010, a company called PayMente Limited was incorporated in Nigeria. PayMente is an electronic payments consulting and technology solutions company providing services to the ecommerce, e-retailing and e-payments industries, with a primary focus on Nigeria. On June 30, 2012, they launched an e-commerce site, buycommonthings.com to sell common things starting with groceries, operating as an online supermarket. I asked D.O about the reason for the two-year gap between when he registered the company and when he launched his first business under PayMente. He tells me that during those two years he was in search of what he could dedicate his time to, before he happened on Gloo.ng. The next day after BuyCommonThings.com went live, Konga.com launched on July 1. A week later, Sabunta and Kasuwa (now Jumia.com.ng) launched, making D.O one of the country’s e-commerce pioneers. By the next year in March 2013, they had rebranded their grocery business to Gloo.ng, this came off the back of an encounter that D.O had with a VC who kept hammering that they should change their name from BuyCommonThings.com. At the time, the bulk of their revenue (80%) was from returning customers, so he figured that their business might have “stuck” (having a form of “Glue effect”) with their customers, which kept them coming back. And that exactly was what led to the name “Gloo”, a word play on the adhesive, Glue. Gloo's homepage as at January 19, 2019. One company that had gone quickly through the e-commerce hype cycle is Konga. When they first launched, they were an online grocery and cosmetics platform like buycommonthings.com. About three months after Jumia (a fashion and electronics e-commerce) launched in Nigeria, they pivoted to play the same game. About $80 million after, the Konga as we knew it (Konga 1.0) got sold at a possible loss to predominantly offline store—Yudala’s—parent company, Zinox. Scaling e-commerce to a broader customer base in Nigeria is just not feasible, at this time. There is no strong need [for convenience over monetary cost]. Kunle Jinadu, founder of Jaramall-a former online grocery store-puts it this way; “I have to say that as a people, we don’t place a lot of premium on our time. That’s maybe because we don’t earn a lot too. The few people willing to pay for that were let down by poor service…”. During its hay days (2013 - 2014), Jaramall was big on customer service. So much so that, 70% of their customers paid before delivery, according to Kunle. He tells me that they only allowed cash-on-delivery for first-time customers only. For customers to keep on paying upfront, then they must have grown to trust Jaramall to deliver. Read this customer’s 2014 comparison of Jaramall and another online store. While they were growing, it wasn’t fast enough and he simply couldn’t see profitability in Jaramall’s future, plus they didn’t have deep pockets to afford them the experimentation runway. Towards the end of 2014, Kunle had pivoted from Jaramall to Gingerbox, a B2B fruit delivery startup. Gloo’s early success in 2014 was found when they served a gated, high-brow community like Lekki and environs. But how were they supposed to break-even in a low-margin business if they couldn’t “expand” to the mass market? I bought a shoe on Konga once and they only got it right on the third delivery. That was my last order [with them]. While a lot was being spent on marketing and touting e-commerce as the next frontier for emerging markets like Nigeria, more was being done to take away from that story. Already, we know about the logistics issue leading to delayed delivery (a trust detractor), but even more were the countless cases of dis(mis)-placed orders, fake products as opposed to what was seen online, non-delivered (or stolen) products by employees of e-commerce and courier companies, and of course, a shoddy return policy. Customer fulfilment on the first try was very hard to come by. So, customers decided to start paying only when they had felt and were satisfied with the products they received. New entrants had to promise something more. 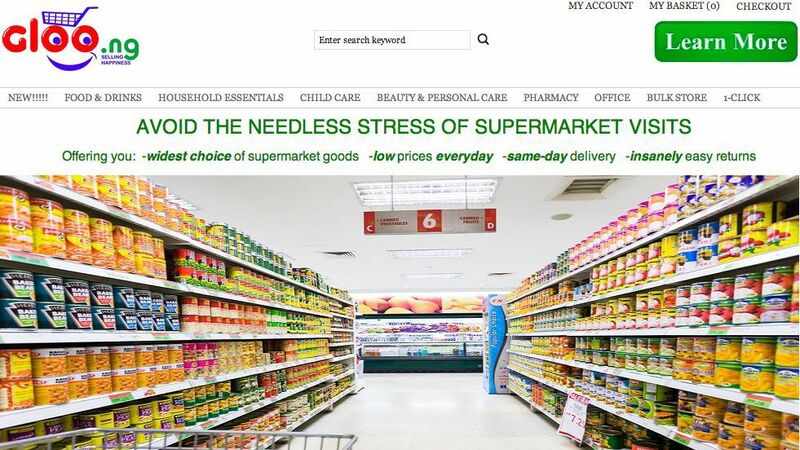 For instance, Supermart.ng, another online supermarket founded by Jumia co-founder, Raphael Afaedor tried to rebuild trust [in delivery] by promising a 3-hour delivery period. However, at scale, with the poor road network, we see how that can be a stretch. Gloo’s delivery timeline was 24 hours, and that was their promise. In an interview with Olumide Olusanya he claims the company had developed a transportation model that made this possible. “I can’t go into much detail but I can tell you that we have built a proprietary Address Verification System that allows us to do least-cost route planning”, he said in 2015. Delivery (and payments) has always been a big concern when discussing e-commerce anywhere in the world, and Nigeria is no different. So far, payments seems to be in good hands. When D.O launched Gloo publicly, they had reached out to one of the biggest transportation and delivery companies in Nigeria, at the time, for a meeting. But representatives of the delivery company arrived late. “We are big on timing, so how do we do business with a company that can’t get to a meeting on time?”, D.O said [paraphrased]. “So, we decided not to work with them”, he concludes. I proceeded to ask him what he thought of the new delivery startups like Max.ng, he responded by saying that they actually did reach out to one of those startups, but their pricing was ridiculous. "Gloo was bargaining for the lease of motorcycles and drivers, whilst taking care of the fuel and paying a fixed daily "rent" price which would more than cover for the amortisation cost of the asset and salary of the bike driver", D.O told Benjamindada.com. 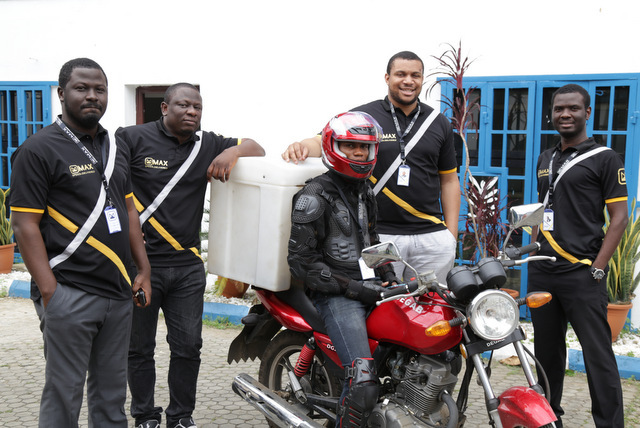 The likes of Konga also faced challenges with third-party delivery companies. 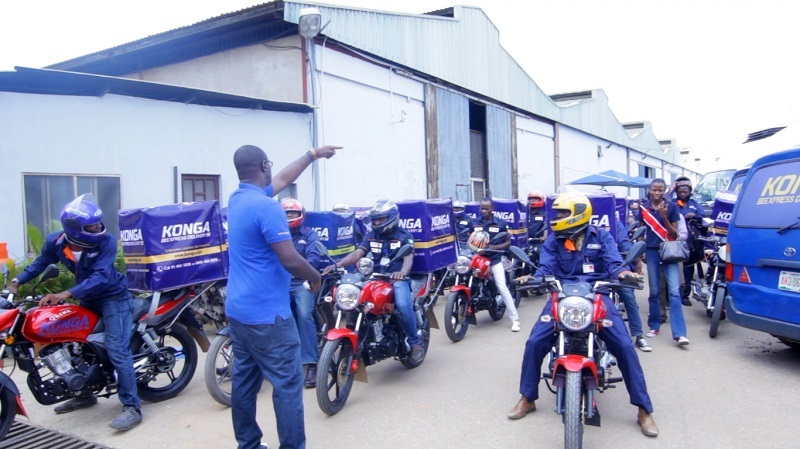 As a result, Konga launched its logistics arm, K-xpress, which received a huge investment of NGN2.9 billion in Q4 2018 to expand its fleet of vehicles. Similarly, Jumia has their Jumia Express. However, the commonality here is that the above-mentioned companies have access to massive investment dollars. What would be the fate of smaller e-commerce startups looking to bootstrap or go lean? For instance, within its six years of existence, Gloo raised less than a million dollars in funding, compared to Jumia and Konga who have raised about $850 million. Gloo basically survived on less than $100,000 each year. E-commerce optimists looking to Nigeria would need to come with lots of dollars to innovate the business model (including delivery). For instance, Kunle Jinadu tells Benjamin Dada about his plans for a decentralised / localised packing and shipping store. “If I do e-commerce today, I'll make it easy. Partner with neighbourhood stores, offer pick up as a primary option and charge a premium for delivery”, Kunle said. He is targeting a model of goods delivery and pick up currently obtainable in places like the UK. Today in the UK, a brick and mortar supermarket could also double as a post office, where customers can walk-in to drop-off items they want delivered. The Post office company, would then visit those supermarkets at specific times to collect and distribute the items. However, in Nigeria, this model would be more suited for retail shops that have a chain of brick and mortar stores concentrated in a city. 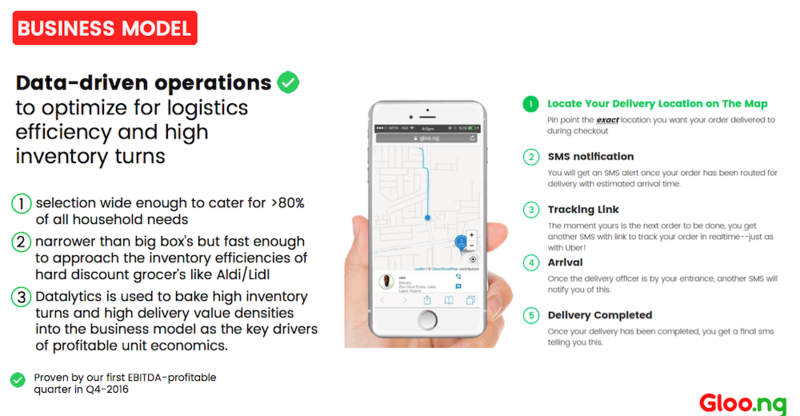 For instance, Addide and BestChoice combined reportedly have over 300 physical stores in Lagos, e-commerce firms can partner with them on a wide variety of solutions involving pick-up and delivery. What’s next for PayMente Limited? Yesterday, in a blog post, D.O revealed the growth trajectory of their new (16-months old) business endeavour—a yet to be named pivot—announcing that they had received capital injection by a US Hedge fund and were billed to roll-out publicly in the coming weeks. In fact, two months ago, they had just moved into a bigger office (pictured above) to support the new business’ growth. Till then, one can only hope that Benjamindada.com would live long enough to tell the story. Update, January 21, 2019: Combined, Addide and BestChoice have more than 300 physical grocery stores in Lagos, as opposed to the under-reported 25 stores. March 11, 2019: PayMente Limited announced that they were pivoting Gloo to GlooPro, an e-procurement platform. On Saturday, February 9, 2019, over 50 people will gather at the Eyowo Studio for the second edition of AUG Lagos meetup.